Once upon a time, I mentioned that I got a $4 sink and $3 shutters at the Habitat for Humanity Re-Store. And I wasn't even lying! That really did happen! 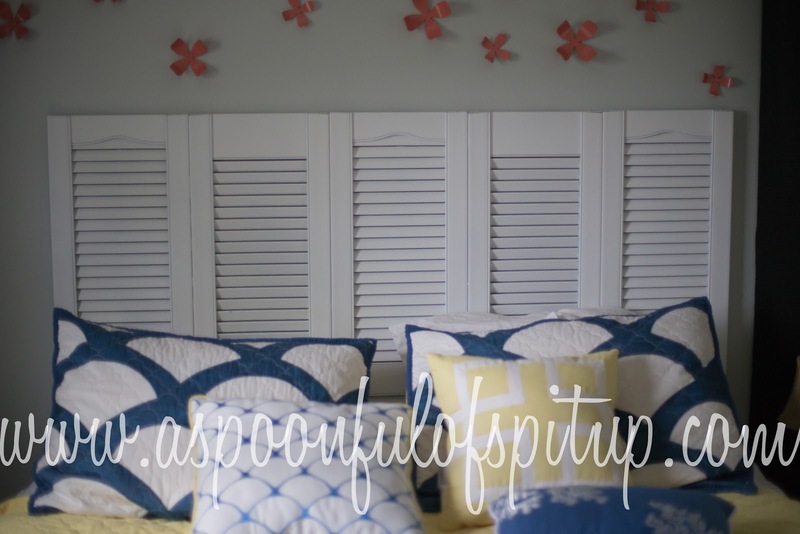 I bought the shutters to make a headboard for our bed, and it turns out that I love it! 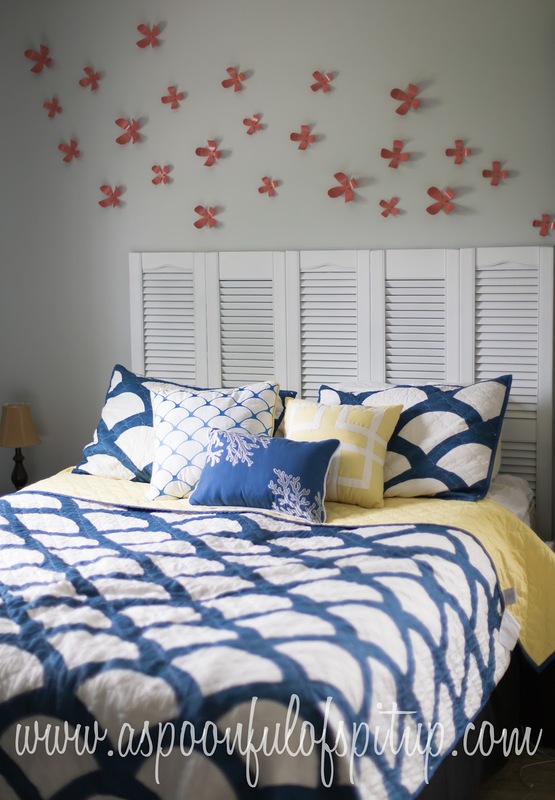 And it was ridiculously easy, so I'll tell you how to do it in case you find $3 shutters someday! We have a queen sized bed, so we needed a 60" wide headboard. Luckily, the shutters are 12 inches wide, so we just needed five! Perfect! 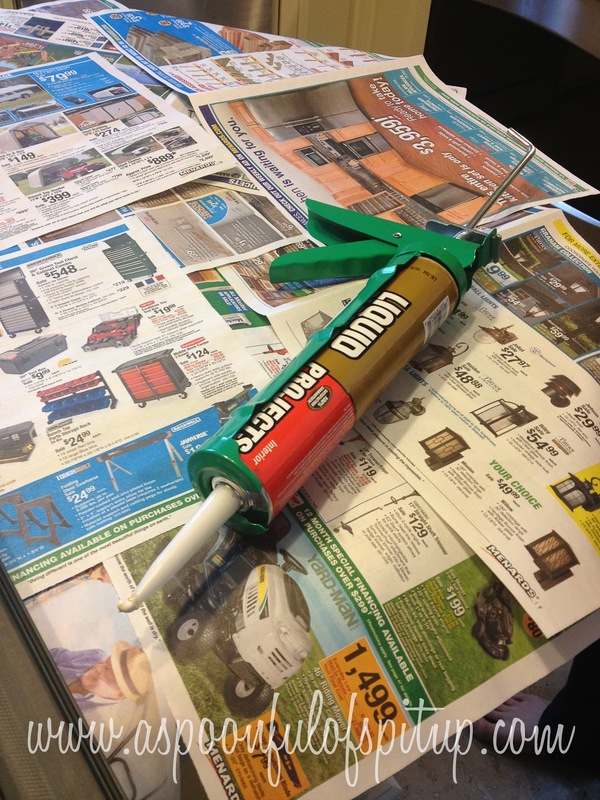 Since the shutters are plastic, we decided to use Liquid Nails to attach them to each other. 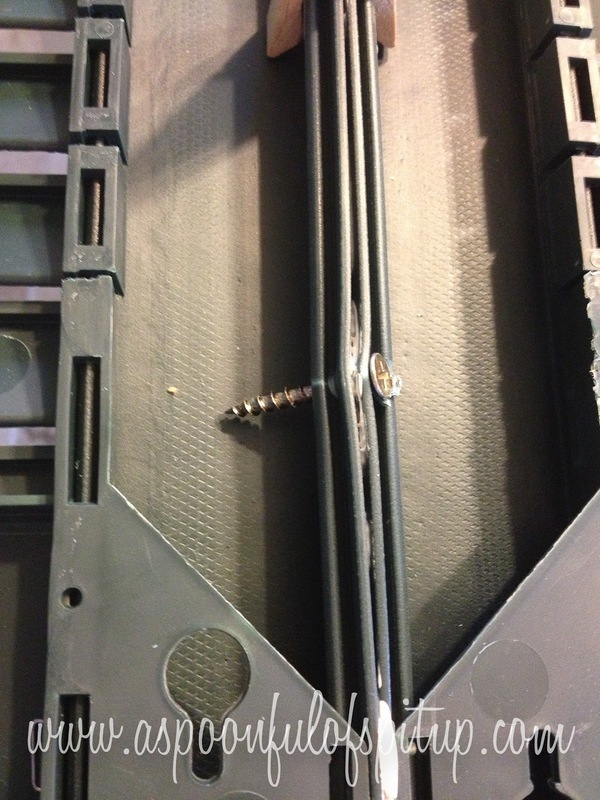 But we also used screws, because they were still pretty wobbly. Liquid Nails! Fancy iPhone photo! This is how we screwed them together! After the Liquid Nails, of course. Also, my sweet husband accidentally Liquid Nailsed (that's a verb, right?) the first two shutters together with the top of one next to the bottom of the other. So we decided to just go with it and alternate them going up and down, and it turns out we love it! But if you want yours all going the same direction, make sure your husband knows that before he starts Liquid Nailsing. After they were all together and we let them dry for awhile (I don't really know how long), we took the headboard to the garage to be painted. We used this paint, okay? Such a beautiful first coat! 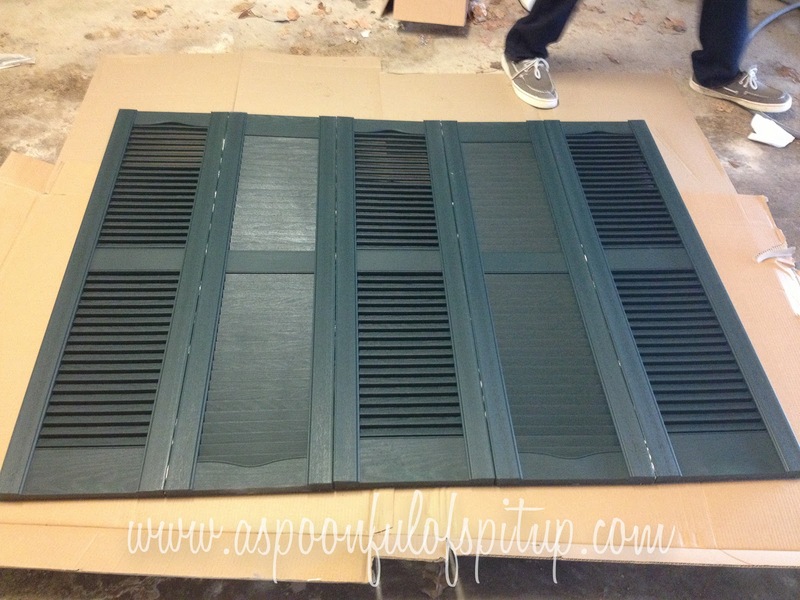 We needed at least three coats of paint to cover the beautiful dark green of the shutters. 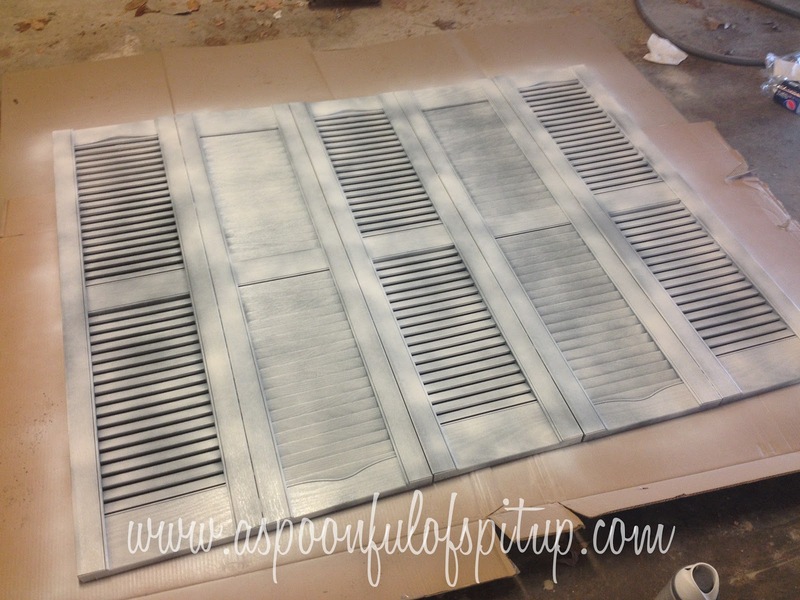 And make sure you paint in the opposite direction that the shutters are going so the paint covers them! ...does that make sense? In the photo above, we painted up the first shutter, down the second, up the third, and so on. Otherwise parts of the little shutters don't get painted! Once it was painted, we left the headboard in the garage to dry for approximately a week. Because we couldn't be bothered to bring it upstairs. You don't have to let it dry that long. And then last night we brought it up because we have our new bedding and I wanted to see how beautiful it would be! There are holes in the back of the shutters so they can be hung, so we used hooks on the wall to hang the headboard. ...I obviously can't be bothered to go find the receipts from Lowe's to tell you exact amounts. Sorry. Our bedroom isn't finished...we're painting the bedside tables the same coral color as the flowers on the wall (which we painted last night! 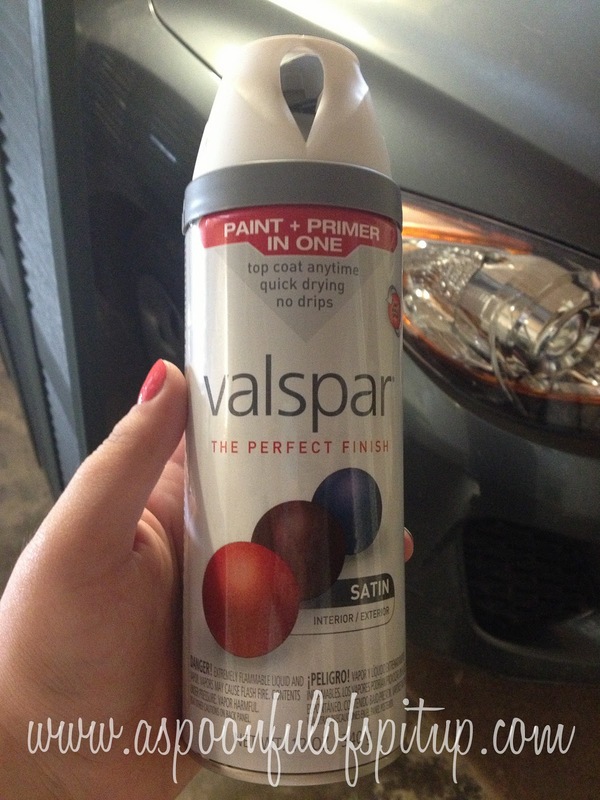 ), and will be getting an old dresser to paint coral! And my old vanity will be painted either navy or white, depending on how we feel. And I'll make some coral pillows for the bed. 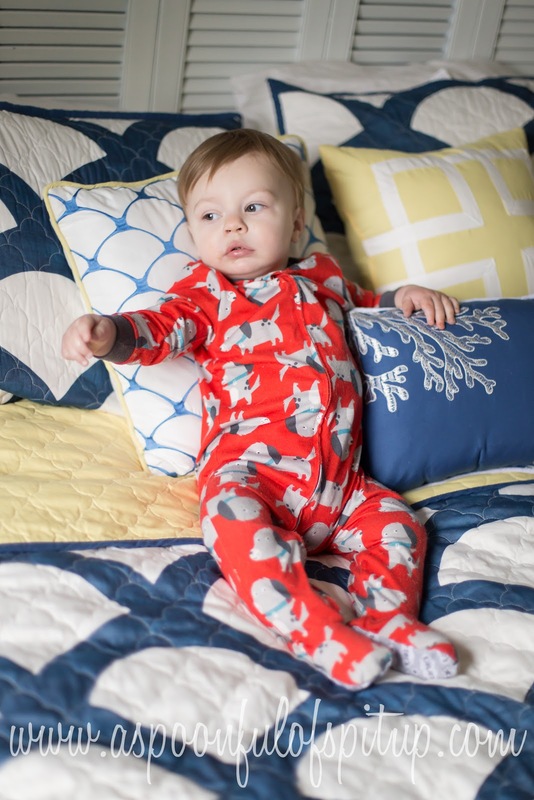 The yellow wasn't originally part of the plan, but we loved this bedding a whole lot! Also I'll get/make some white curtains. And we need a bedskirt. ...so it's definitely not finished. But still beautiful! And I have a question for you, my stylish readers! The walls right now are a very blue-gray. I'm thinking about painting them a lighter, warmer gray. What do you think? Do they look fine the way they are? ...Danny wants you to say that they look amazing right now. Because he hates painting. 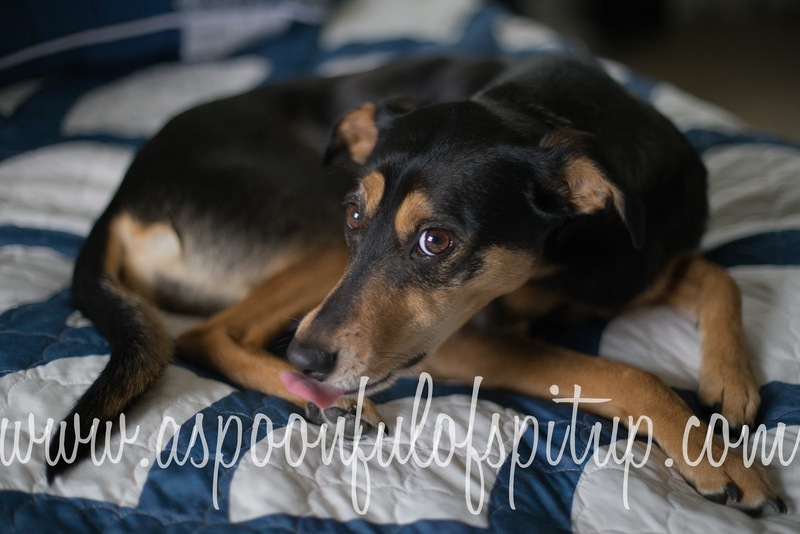 And now for some photos of my babies on my bed! I caught her licking her foot. So there you go! 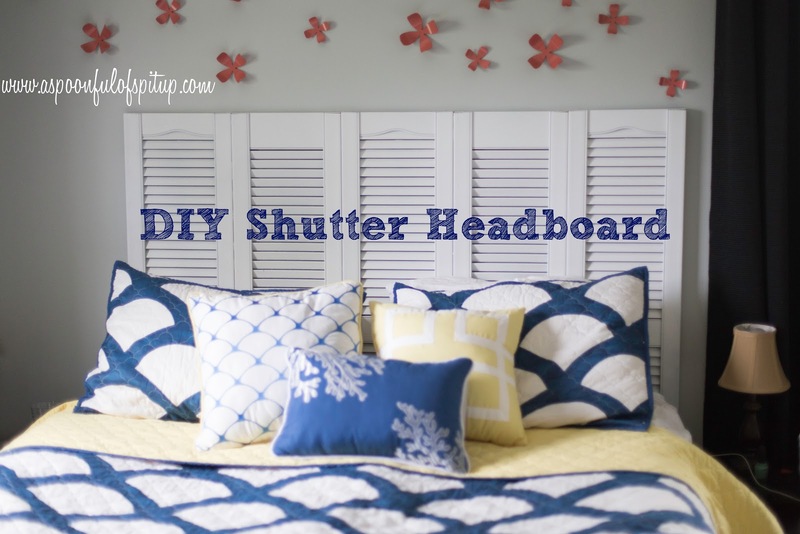 Now go find yourself some $3 shutters and make a headboard, okay? And then show me pictures! And invite me over so I can lounge on your bed and look at it! 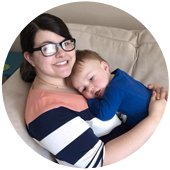 Do me a favor and click the banner below to vote for my blog today! I will love you forever and invite you over to lounge on my bed if you do! CUTE! Your room is going to look amazing when it's all done! I like the wall color as it is. From the pictures I don't see too much of a blue tint. Great idea and instructions! You didn't say how tall the shutters were.